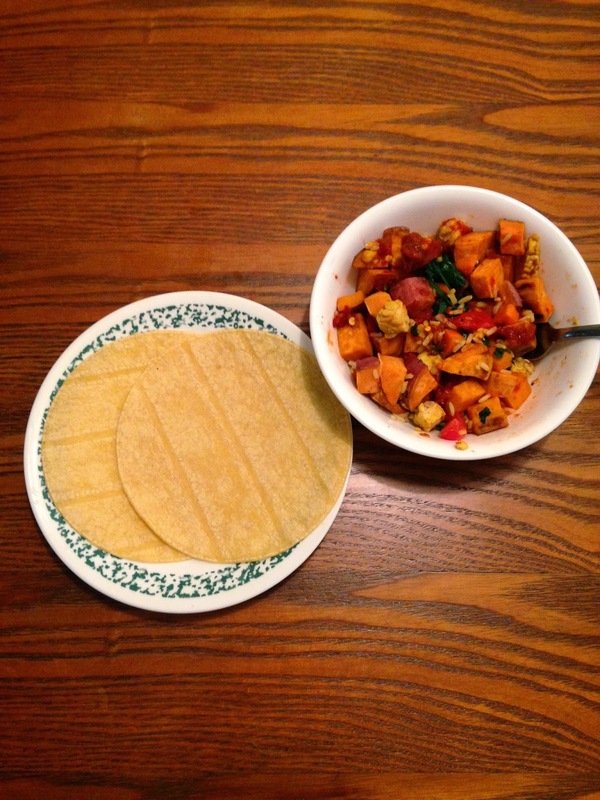 Today, I thought I’d share with you what I typically eat in a day. This is just an example of a random day I decided to take photos of what I eat, but it definitely varies from day to day. On this day I didn’t have class and just spent the day doing laundry, cleaning, homework, and running some errands. Let’s take a look at what I ate. . . I love to sleep, so when I don’t have class sleeping in late is my favorite thing to do. Breakfast didn’t get started until around 11:30, so eating this late isn’t very typically for me but I love a good brunch every now and then! 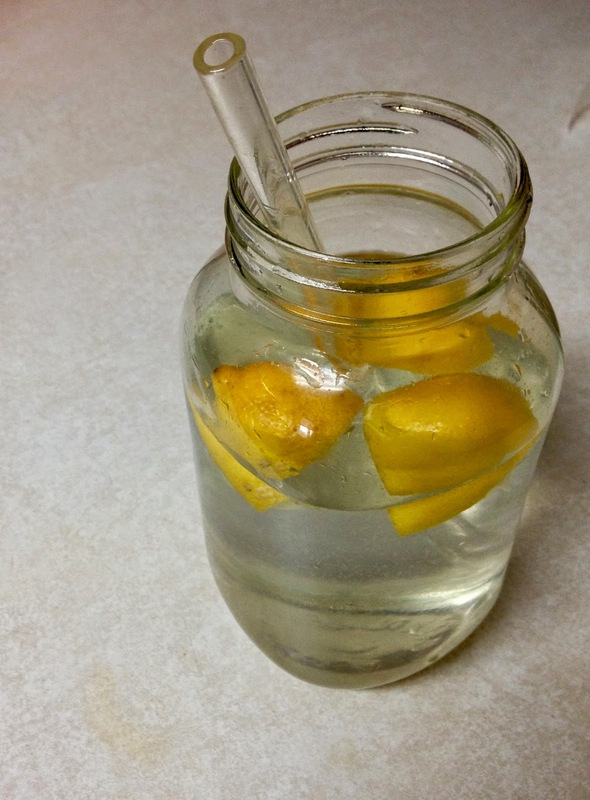 I always try to start the day off with lots of water and love putting freshly squeezed lemon juice in it, lemons are great for cleansing and help to jumpstart your digestion first thing in the morning! Because this day was very cloudy, I took a vitamin D supplement, the kind I use is liquid so I just drop a little drop on my tongue on days when the sun isn’t out. 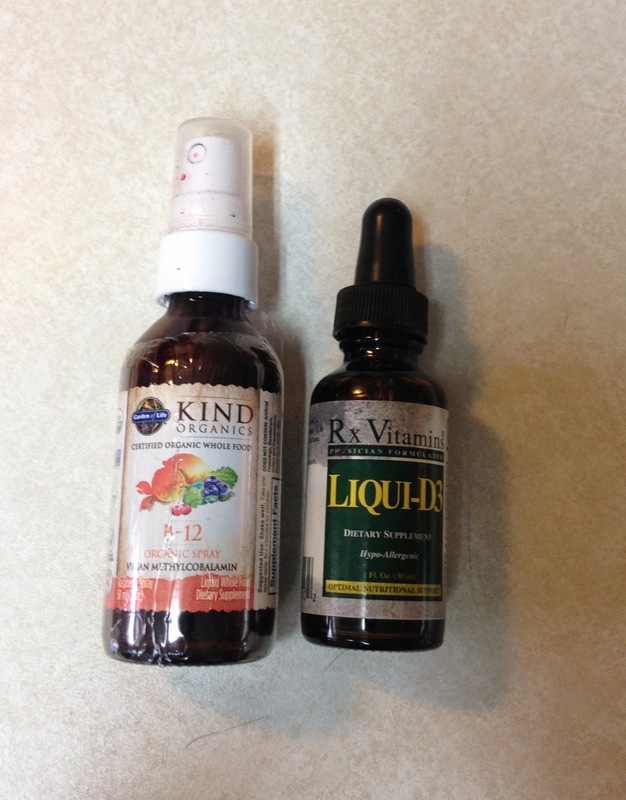 I also take a vitamin B-12 supplement (which I recommend everyone get their levels tested, vegan or not!) which is completely food-based and also liquid. 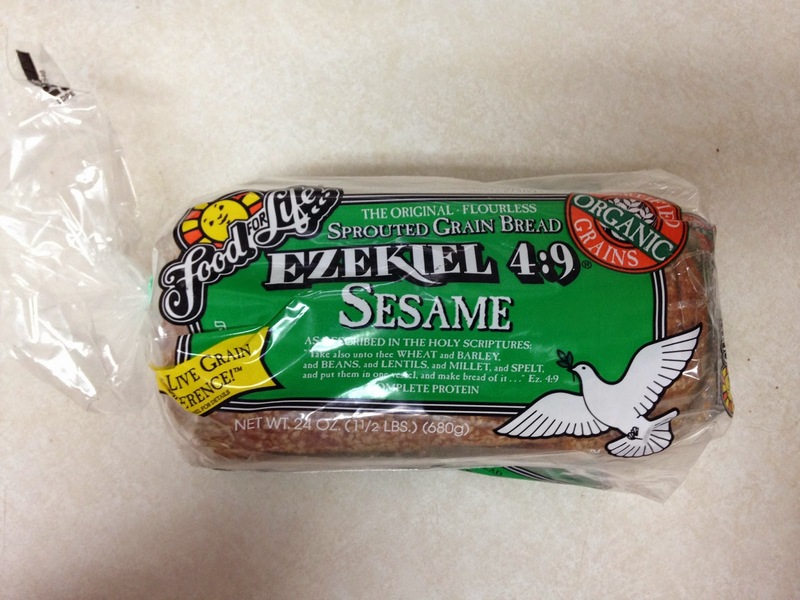 I had two slices of Ezekiel bread (my new favorite..they use sprouted grains, so it’s better for digestion/absorption and it’s also very delicious!) 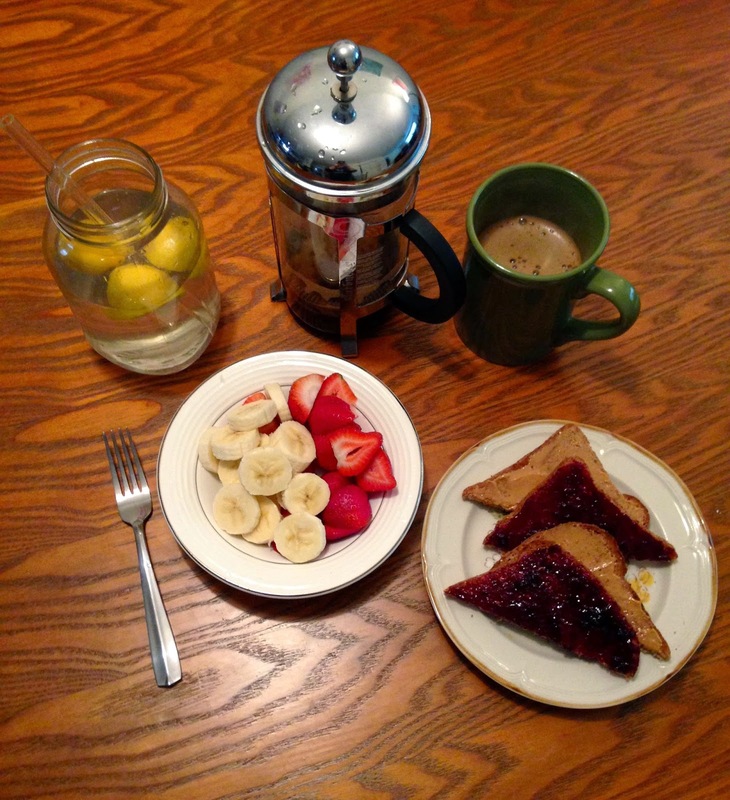 one slice I topped with peanut butter, the other with blueberry jelly. Along with that, I cut up about eight to ten fresh strawberries and one banana. And of course I had a cup of black coffee! 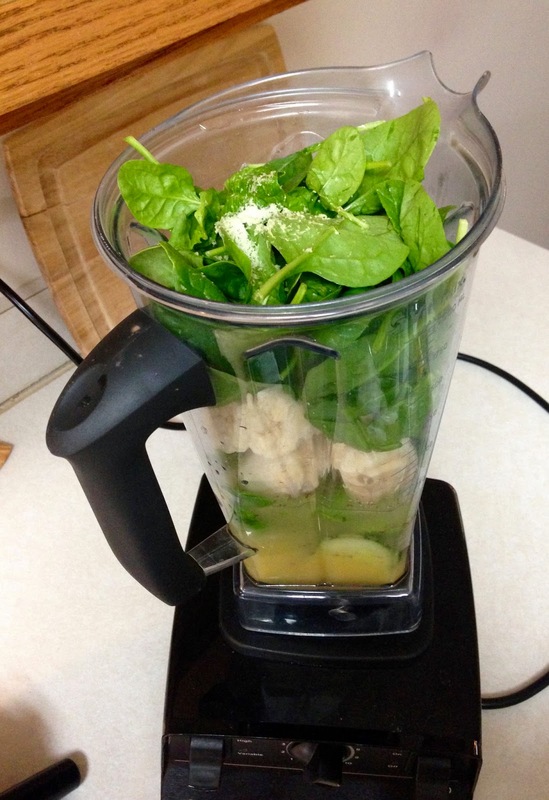 So for lunch I had a huge green smoothie. 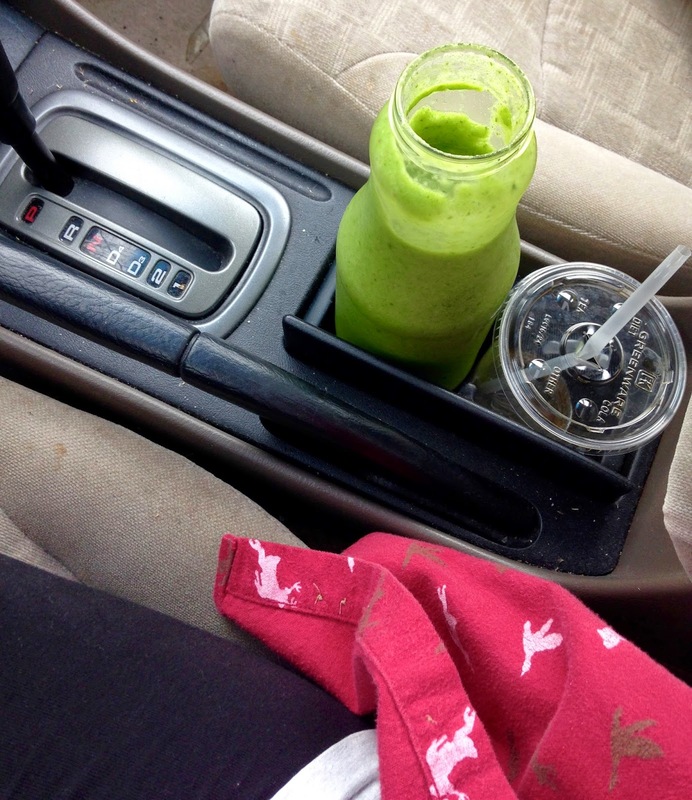 I need to run some errands, so I whipped up a smoothie and headed out the door. 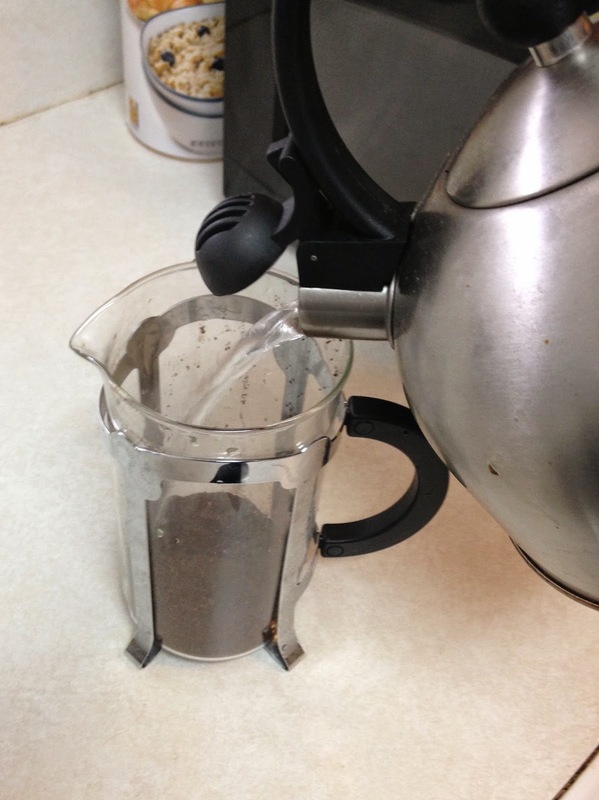 I love taking these on the go, because it’s not messy and easy to drink in the car. 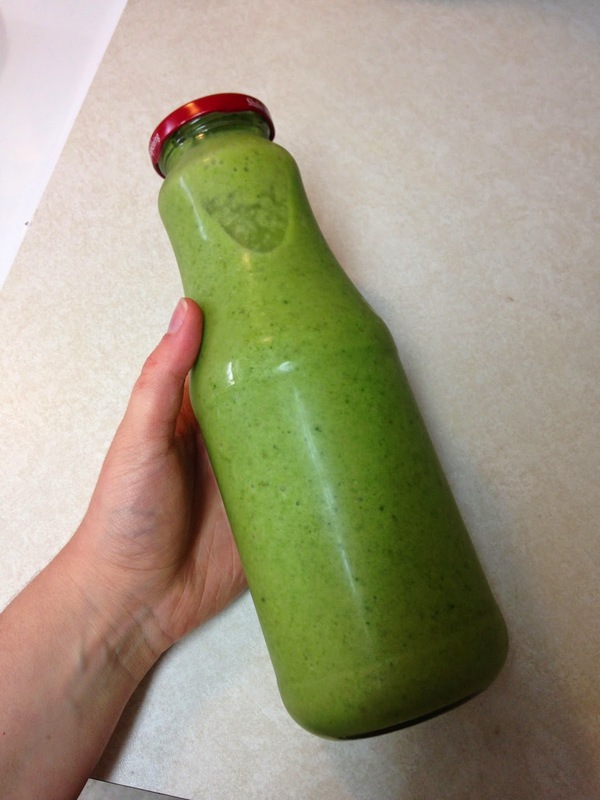 The smoothie had 3 frozen bananas, 2 cups of spinach, 1/2 medium sized cucumber, 4 stalks of celery, 1/2 cup orange juice, 1 teaspoon freshly grated ginger root, and lots of water! Once I got home, I heated up some leftovers from dinner the night before which was a stir-fry with sweet potatoes, spinach, rice, tempeh, tomatoes topped with curry sauce. I paired it with some corn tortillas. I also ate a few dates afterwards. 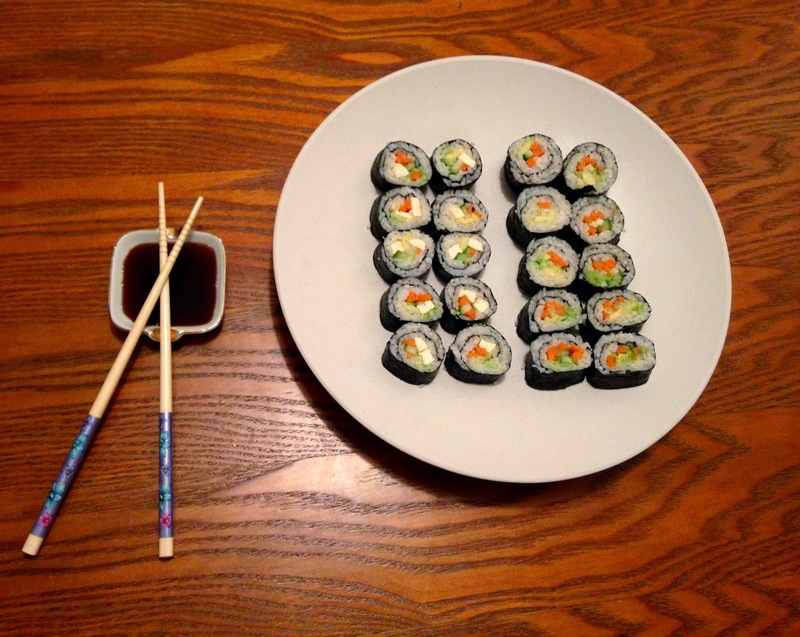 For dinner I made some fresh sushi (keep a look out for a sushi recipe coming soon!). 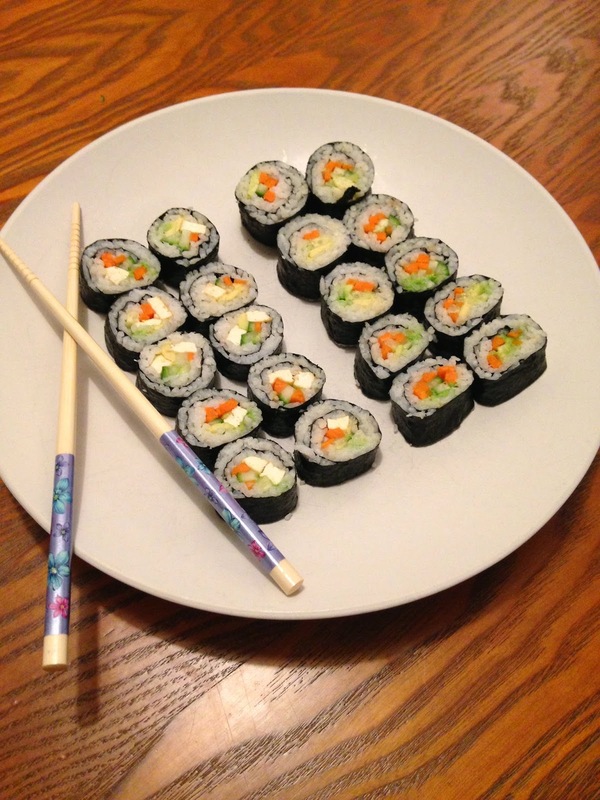 In the sushi I put white rice, cucumber, tofu, carrots, and avocado. I had about four rolls, and some “samples” while making them. I ate the sushi with some liquid aminos (soy sauce substitute). 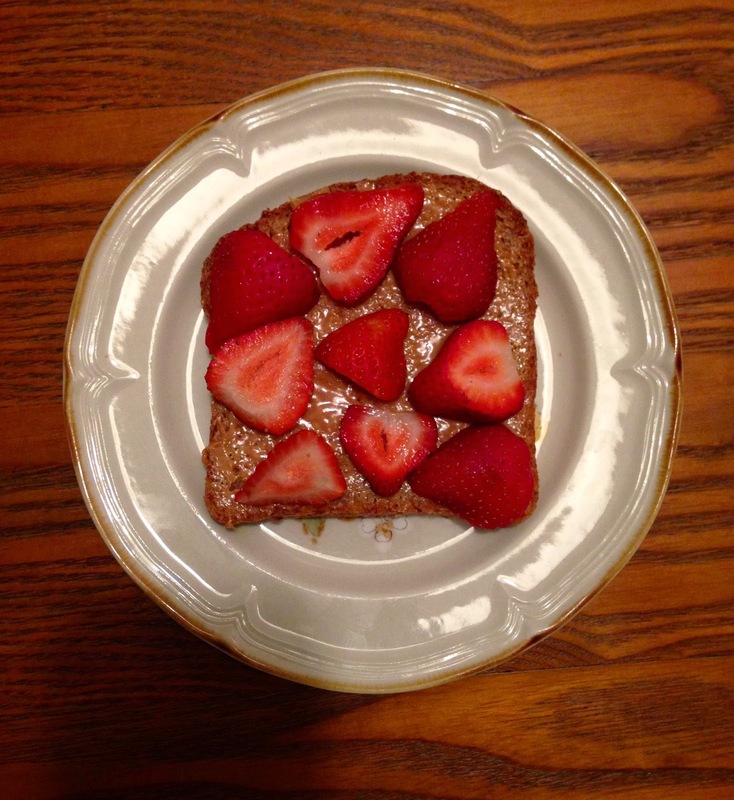 I was still a little hungry, and wasn’t going to bed anytime soon (Netflix was the culprit of keeping me up so late) so I decided to have another slice of Ezeikel toast with peanut butter and I topped it with a few fresh strawberries.